kiwijenn | An honorary Kiwi exploring an unknown land. An honorary Kiwi exploring an unknown land. Next week will mark two years in New Zealand. Two years. In some ways, that seems like such a long period of time, and it others, so little. To mark the one year anniversary last year, I took stock of what I’d learned over the year, what I’d done, how I’d changed. I tried to make sense of whether living on the opposite side of the planet made things different. Made me different. Two years in, it’s time to take stock again. So. Here’s what I’ve learned and what I’ve done in the last year. I’ve discovered a love for vegetarian sushi. And yum cha brunch on Sundays at Great Eastern. –And insanely-expensive-but-oh-so-gorgeous-delicious-and-exotic cocktails at the Hippopotamus restaurant bar with girlfriends. 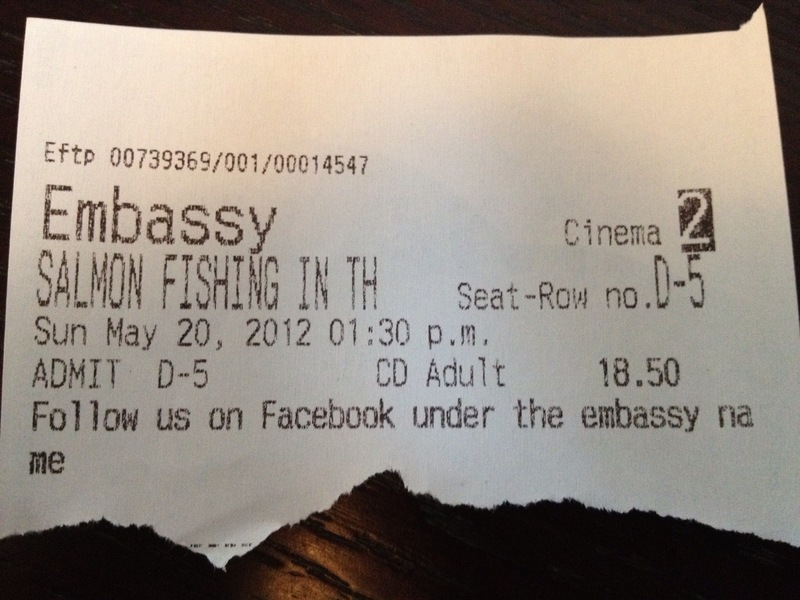 –And lemon chicken at Cha before going to the movies at the Embassy. 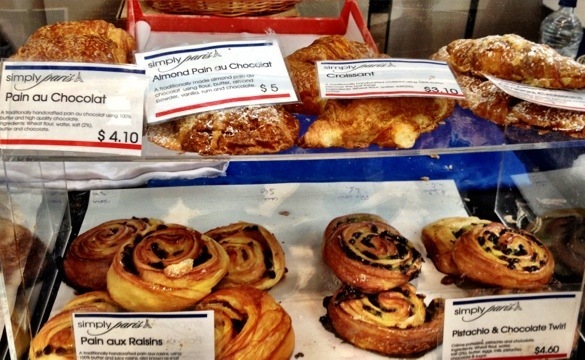 –And raspberry pastries from the Simply Paris stall at the Sunday market. Or maybe a Roti wrap from the Indo-Asia food truck at the same Sunday market. Or the Cambodian noodles. –And garlic Naan bread and dahl from Masala, with its dark red walls and Miles Davis CDs playing in the background. 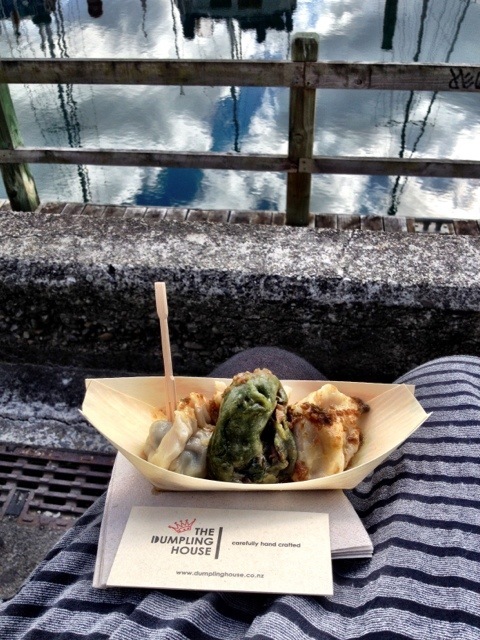 I’ve discovered I have favourite places in Wellington, many of which are not on the tourist map. Several of which are. Many of which are places to eat, drink, and read a few good books. I have grown to like eating lamb—especially with chickpeas and homemade yogurt sauce with chili and mint. I’ve been reminded that it really is true: Where you go, there you are. I am the same Jenn with same Jenn issues and the same Jenn successes no matter where I live or what I do. I vacillate between hyper-planning (my usual mode) and no planning (Jenn 2.0). The fact that I even contemplate “no planning” is amazing. Aside from a plane ticket and few required bits of planning, I have not planned my trip to India. I am reliant on the maxim that everything will work out in the end. I continue to jaywalk brazenly. 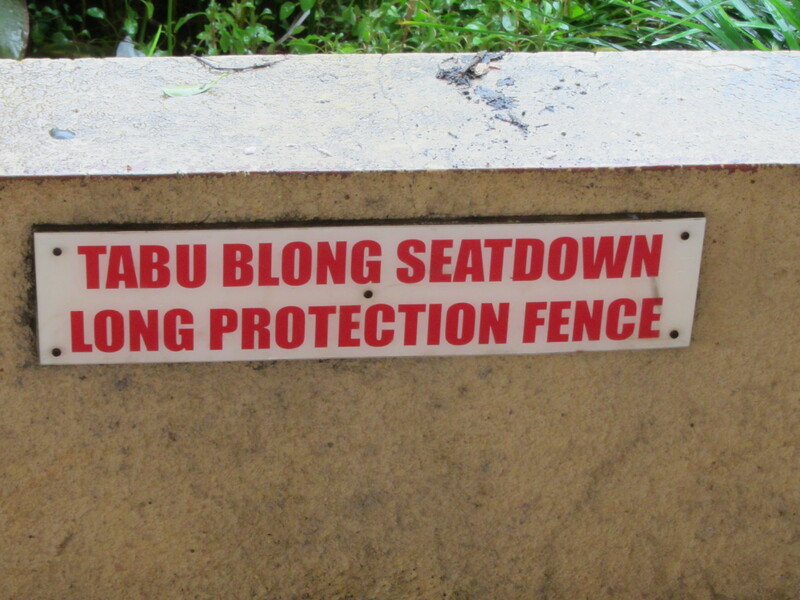 I also continue to follow the rules related to standing in queues and obeying Official Signs. I have started referring to “lines” “queues” and I use the word “heaps”. But I still refuse to call an elevator a “lift”. I don’t think I can handle hot climates anymore. But I’m still not a fan of biting cold. Wellington winters make me long for Savannah summers. I have succeeded in the art of layering. Mostly. I have cut my hair short after years of growing it out and keeping it long. I’m still not sure who the woman is staring at me in the mirror. I suppose that’s a metaphor for life. Though living amongst the Wellington uber-hipster-intelligencia has taught me that this is a tired, tedious, and obvious metaphor. I miss home every day. 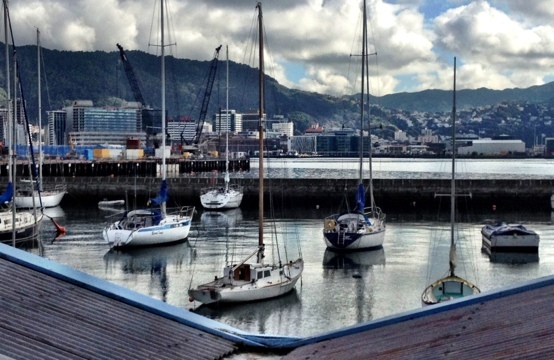 But I’ve come to realise that at home, I’d miss Wellington every day. Because Wellington is my home too. I have always been a quirky set of contradictions. I remain so. Only with funny spelling added to the mix. 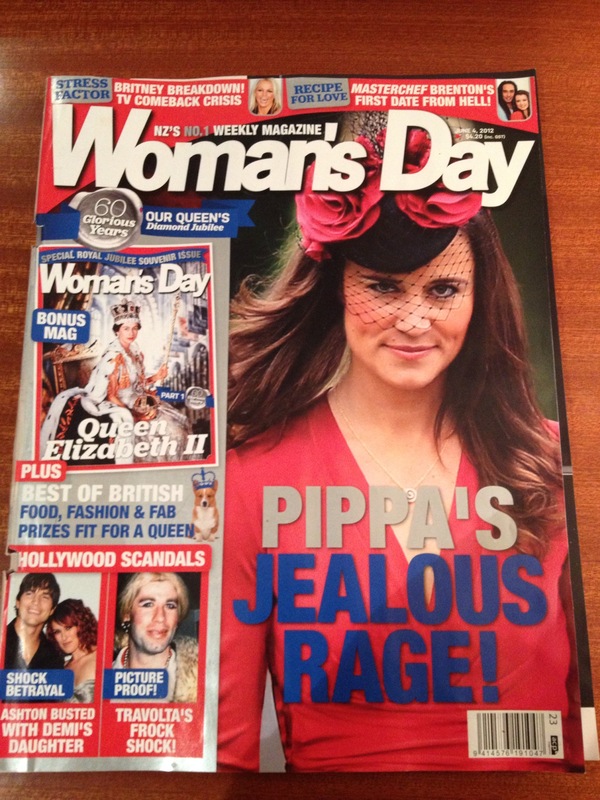 My fondness for gossip magazines, which heavily feature the Royals. Assigned seating in movie theatres (which people follow. There have been “incidents” when people were sitting in the wrong seats). Seat D-5, and don’t you forget it! Drying my clothes on a line instead of in a dryer. It really is—in many respects—a nicer way to dry your clothes. Now. What will the next year bring? This has been a challenging week. Between our apartment flooding (and consequently flooding the apartment below us), stress related to some new work I’m doing, and a few other things, I’m ready to run away and hide. For a little while. Every time I hear the electrician working away below us, I wince. I feel for the people who live there. But I also wonder—were I the person in that apartment—if I would shake my fist at the ceiling and curse. Hopefully not. Hopefully, while I would be frustrated, I would simply shrug and say that sometimes, stuff just happens. Despite your best intentions and preparations. Accidents happen. Life happens. You know why? Because we’re humans, not robots. And while I’m perfectly happy to extend that grace to others, I am almost completely unable to extend that grace to myself. At what point do we decide that perfection is meaningless? That a lack of perfection is not a fatal character flaw? At what point do we get over whether we’re liked? Whether our intentions are understood? At what point do we grow up, get over it, and move on? These are not rhetorical questions. I ask them earnestly—not only of my friends and strangers on the bus, but of myself. Perhaps, they are the foundation achieving grown-up-ness. If they are, then I still have a long way to go. I suppose it’s a matter of perspective. There’s a New Zealand poet I quite like, by the name of Hone Tuwhare. His poems were equally lusty, ribald, and political. They are a joy to read, because sometimes they make you smile, but they always make you think. They have depth. Especially the later ones. 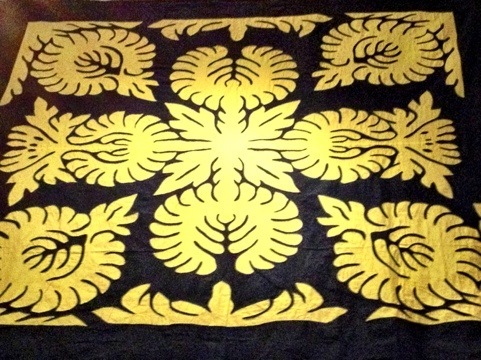 I’d like to think it’s because—by the end of his life—Hone Tuwhare had answered all of the questions I ask above. So that even when metaphorically speaking of sausages, he spoke with the voice of someone who could appreciate what a rare gift it was to enjoy a midnight tryst with the one you love. You don’t have that perspective at twenty. Or, dare I say it, even at forty. Perspective is the one thing we need as early as possible in our lives. Isn’t it an irony, then, that we only gain it through experience and time? There will be a point at which I can answer my questions, where I can extend grace to myself, and where I can get over it and move on (metaphorically speaking). When that will be is anyone’s guess. I suppose this is one situation in which the journey is the destination. And let’s be real, a year from now (or even five months from now) I will not still carry the burden of this week–a self-inflicted burden for the most part, mind. This I know. It’s just the actual getting through the week and keeping that self-infliction part to a minimum that I still struggle with. Being a curious sort, when did you reach these points of enlightenment yourselves? And if you’re like me—floundering and still trying to find socks that match—when do you hope to? And if you’d like to check out some Mr Tuwhare’s poems, there are several here and also here. Wax on. Wax off. I am the karate kid of singing. No, I’m not talking about the fancy karate-kick-with-a-broken-ankle kind of karate kid. I mean the washing-and-waxing- dilapidated-cars kind. Except instead of cars, I have five notes. Up and down. On a rolled R. Sometimes—if I’m really doing well—on an eee vowel. Absolutely, positively, no consonants. 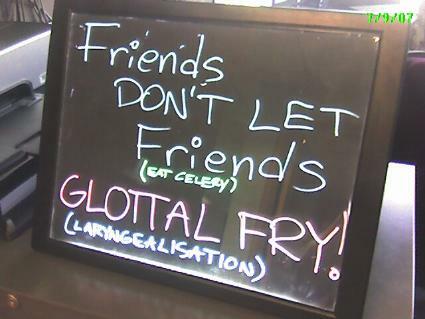 Except g. Sometimes there’s a g consonant. This has been a major part of my singing life for the last two months. 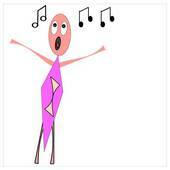 I recently started voice lessons again. My teacher is amazing. And very technical. And exacting. And thus began my hour-long, “do-or-do-not-there-is-no-try” lessons and multiple hours of weekly practice on five notes. Up and down. Rolled r’s. The occasional g.
It’s not as boring as it sounds. The whole time I’m thinking about whether my larynx is open, whether my vocal folds are relaxed, whether the ligaments are stretched or loose, what my soft-palate is doing, how my hard palate is placed, keeping my tongue in the right place at the right time, and a whole host of other things. That’s a lot to do in five little notes, up and down the scale. Why? Why I am doing this? If you imagine the voice as a series of bicycle chains and gears, mine don’t flow together as well as they could and the switch between them is sticky. Plus, one of the chains is hit or miss, performance wise. That was never a problem as long as I was on the flat, so to speak, but anything really challenging showed the weaknesses. The aim of these lessons is to work these chains and gears, or voice registers, so that they run smoothly and perfectly, no matter the conditions. And so that I can sing Strauss. And meaty Mozart arias. And all sorts of other music I’ve always shied away from. Here’s the thing. Voices generally match bodies. What I mean is—from a physical standpoint—a tall woman with a large jaw has a much bigger instrument than a short, slight woman. All that means—really—is that the tall woman doesn’t have to work as hard as the slight woman to produce a big sound. But it does, on some level, go farther than that. We also expect that voices match bodies in a more specific sense (regardless of whether it’s true). Tall, willowy blonde with ankles the circumference of pencils? Surely she has an ethereal, super-high voice that spins and spins and spins into the rafters before floating down and wafting around you. Squashy, curvy woman with a big jaw and meaty wrists? Of course you’re going to get a big sound that surges through the room, envelops you, slaps you around a bit, and then sinks into your bones. I want to sound like the tall, willowy blonde with ankles the circumference of pencils. 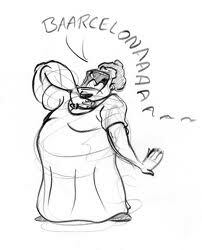 I don’t want to sound like that squashy, curvy woman with meaty wrists. Yes. But with hair. Long, cascading blonde curls will do, thanks. I have never looked like that. And I won’t ever look like that, either. But in some ways, trying to emulate this light, floaty voice made me feel willowy, even if only for a few minutes. I remember being a slim kid who was still taller, broader, and just plain bigger than every other kid around me. At the age of twelve, a distant uncle tried entice me to work on his farm for a few weeks because, you know, I was “sturdy”. I don’t know a single woman who genuinely wants to be sturdy. Myself included. Tapping into this big, meaty voice I supposedly have has required me to confront demons that seem to plague me no matter what I’m doing or what the situation is. Or how much weight I lose. It’s not a fun process. I imagine that’s why it’s called “personal growth”. While I continue to ponder that, I must get back to my five notes up and down. We tried the octave last week, but my teacher quickly decided I wasn’t ready for eight notes at time. Maybe next month, she said. Wax on. Wax off. Do-re-mi-fa-sol. Sol-fa-mi-re-do. 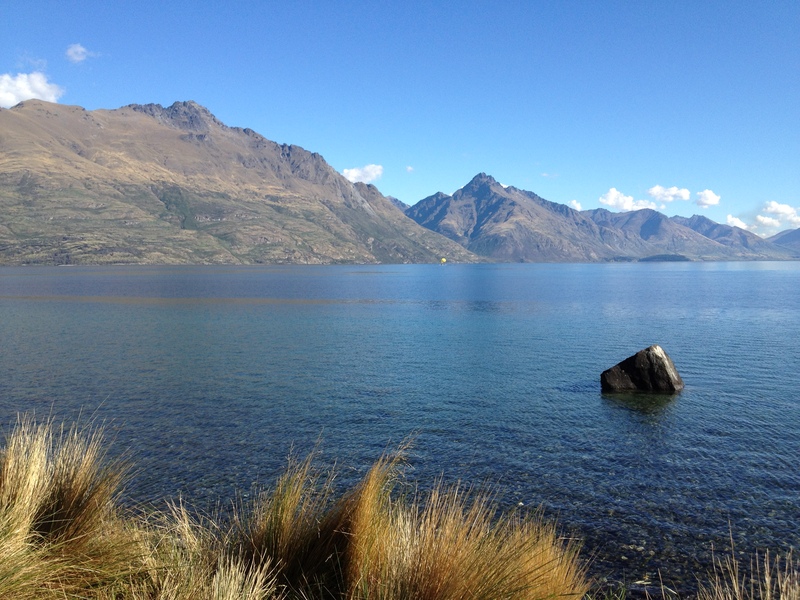 We spent last weekend in Queenstown, which is in the south-western corner of the South Island. We needed some serious R&R. The last few months have been difficult for lots of reasons (which is in large part why I haven’t updated my blog in so long!). 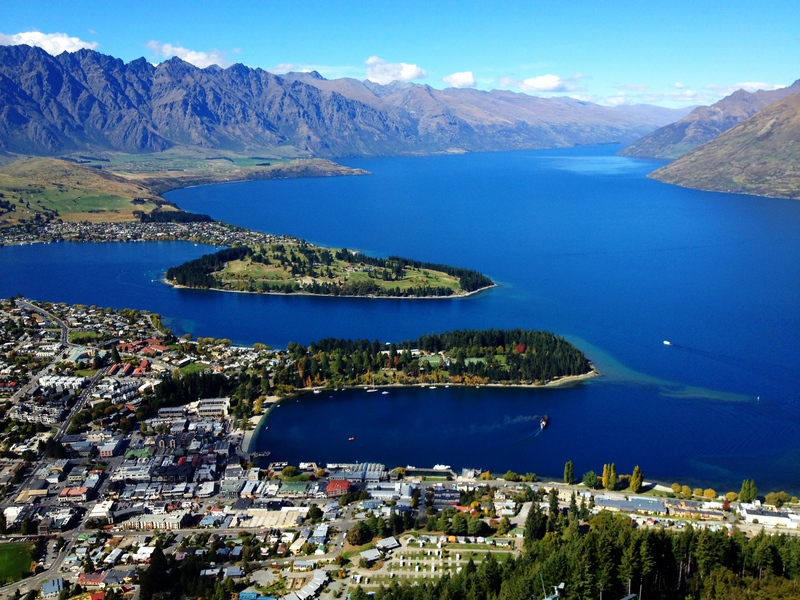 We didn’t choose Queenstown; rather, it was chosen for us. Air New Zealand has a very cool product called the Mystery Trip. It makes a fabulous gift (which this was for us) and covers airfares for two, accommodation for two nights, and transfers to and from the airport. In return, you turn up at the airport on the chosen day and find out where you’re going for the weekend. 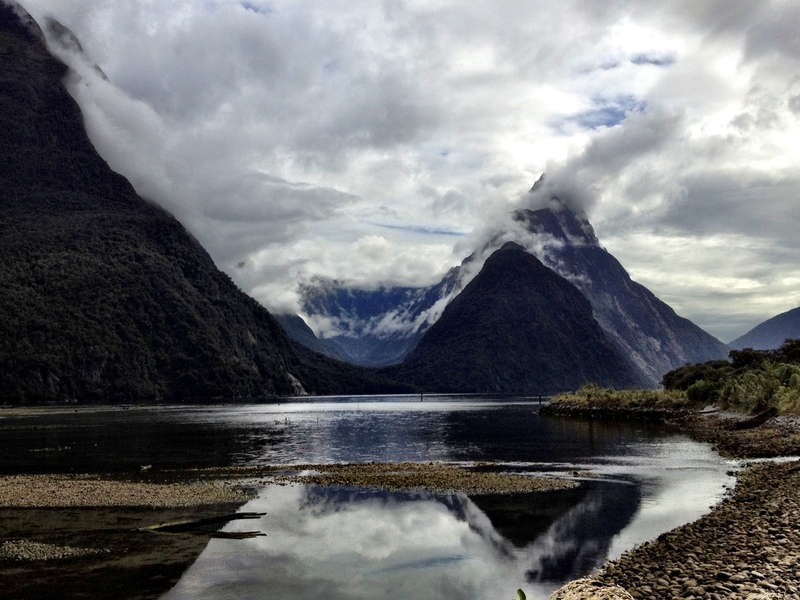 To me, the best part about Queenstown is that it is a gateway to some seriously cool places, like Fiordland National Park, which is also a UNESCO World Heritage Site. I’d longed to get to that part of New Zealand since moving here. To me, Fiordland represents what’s left of a vast, wild tangle of land that cannot be “conquered” by man, and is so breath-taking, that man couldn’t bear to do so anyway (though that sentiment may be changing). Whatever you’re looking for you can find at Fiordland: glaciers, woodlands, waterfalls, rivers, sounds, fjords, mountains, and plains. 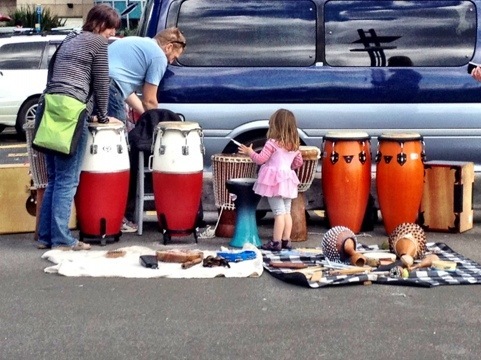 It is a riot of sounds, colors, and ecosystems. 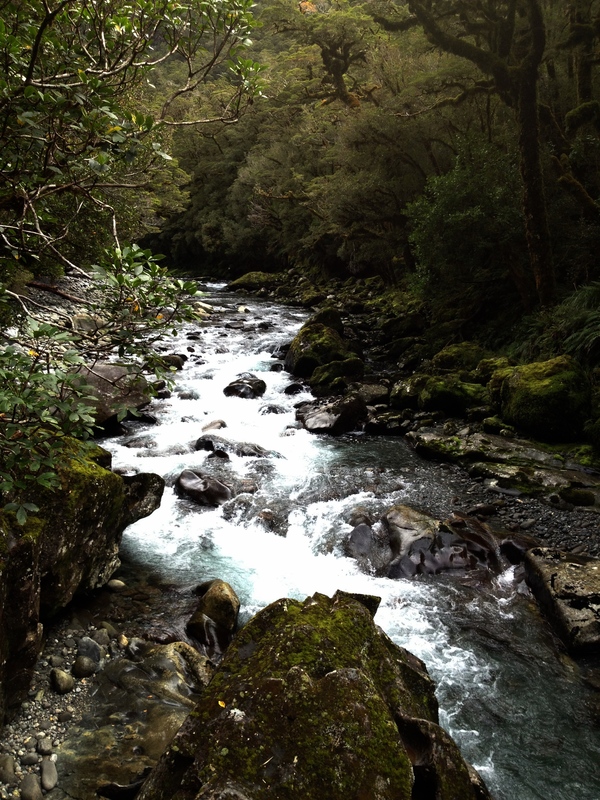 The river leading to the "Chasm", Fiordland. You can barely see it, but the water is glacial blue. There's a good reason for that--it's glaical water. In contrast, Queenstown is a riot of ski and tourist shops, bars, and leopard printed jeggings and ski pants. 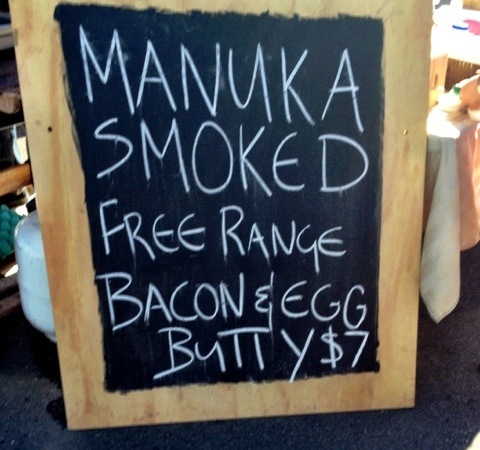 From reading that, you might think I didn’t enjoy Queenstown. That’s not strictly true. I did enjoy many parts of it. We enjoyed the gondola, the botanical gardens, and two visits to the Onsen Hot Pools. We had lovely meals at reasonable prices and didn’t lack for entertainment. It’s a picturesque gem of a ski town situated on a beautiful lake. But perhaps—in a way—that’s what I didn’t like about it. 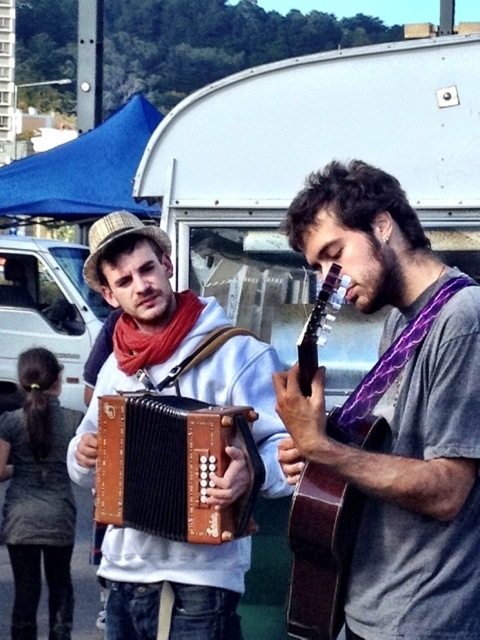 Queenstown caters to the international tourist. There’s an almost perfection to the wide, beautifully appointed walkways; the names of shops are clever and visually appealing; you get ice in your water glass without asking. And everywhere you turn, you hear an American accent. Looking down onto Queenstown, with The Remarkables in the background. I like that much of New Zealand is imperfect and remote; that it hasn’t been “Disneyfied”; that it retains an essential Kiwi-ness that you can’t find anywhere else. 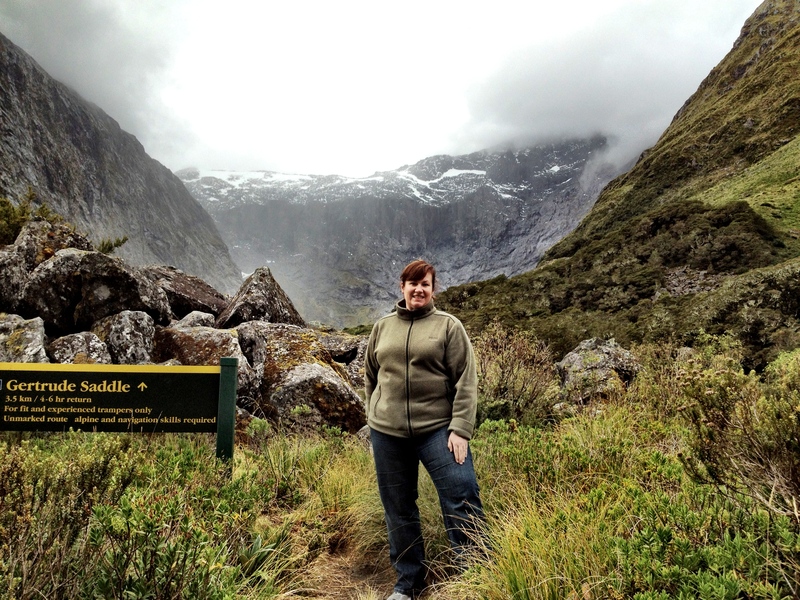 Perhaps that’s why I much preferred our journey to Fiordland and Milford Sound on Saturday. You felt the fragility of your humanity in the face of implacable stone and ice. It was amazing. Thrilling. Awesome (in both the literal and colloquial sense of the word). I could have spent weeks tramping the various walking tracks and just *being* there. Bill Bryson wrote an engaging book on this issue, called, “A Walk in the Woods, which was about his tramp along the Appalachian Trail. 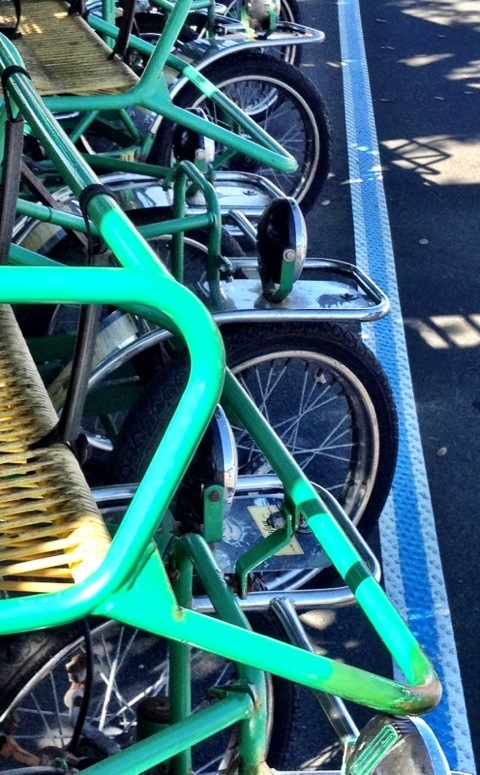 He experienced many of the same things, including the discomfiting experience of the resort towns along the way. There is nothing quite as humbling as feeling for a moment the contradiction of having a vast wilderness to yourself and knowing that your short stay is at the land’s leisure. It puts everything into perspective; it’s like a press of life’s reset button. Below are some pictures from the trip. We can’t wait to go back and spend some serious time having our own little walk in the woods. 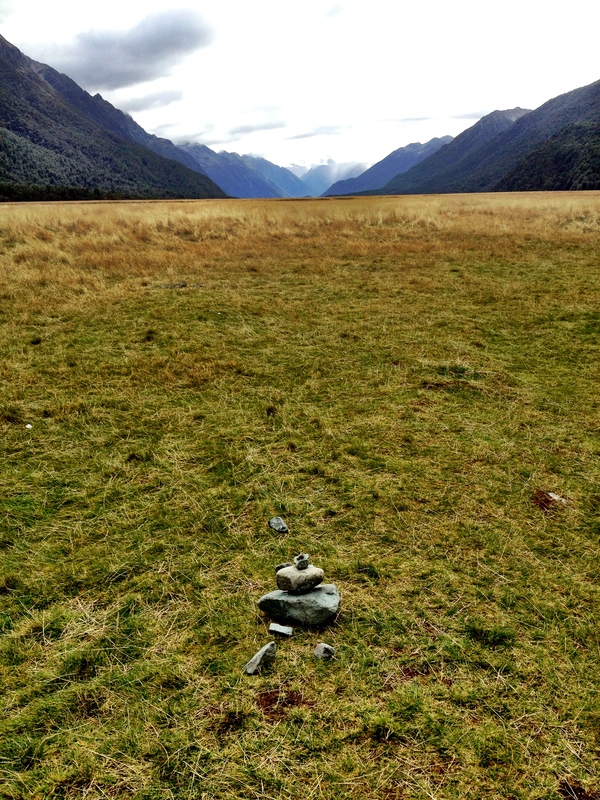 A cairn in a valley in Fiordland. 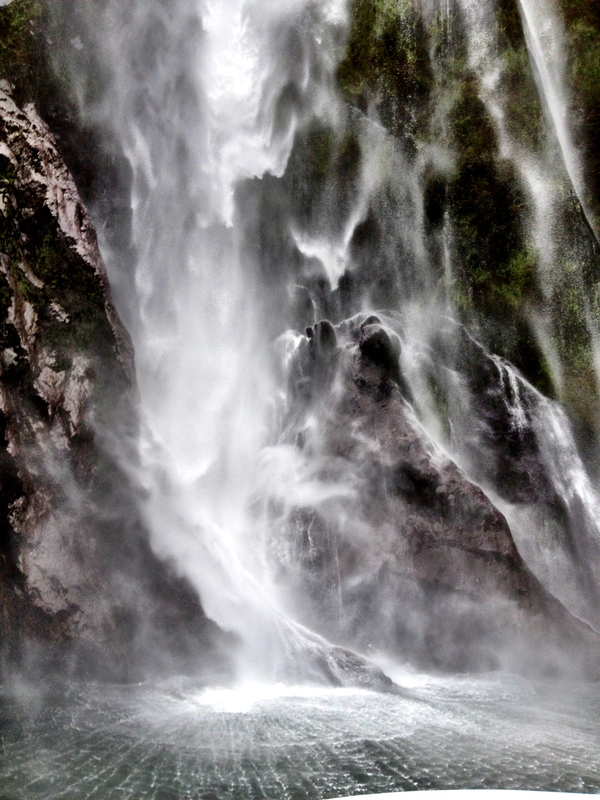 A close-up of Sterling Falls in Milford Sound. These falls are about 400 meters (1200 feet) high. Me at the start of the Gertrude Saddle track. No, I didn't do it. It required alpine and navigation skills on an unmarked trail that takes 4-6 hours to complete. It's only 3.5 ks. New Year’s resolutions. Yes, I made them. Why am I only sharing them with you now? Because I wasn’t sure I was going to stick with them. Sharing your resolutions can be like asking someone to marry you on national television, only to be turned down. Okay, that may be a tad overdramatic. But they do have the potential to work as anti-fulfilling prophesies. By their mere mention, they are set to never be achieved. I used to write lots of stories. I loved writing. I still do. But several years ago, for many reasons, I stopped writing. I told someone recently that I’d stopped in part because I wasn’t sure who I was anymore, and if I felt that way, how could I write with an authentic voice? That, and I was lazy. Okay. Mostly I was lazy (but the first part sounded better). So I made a commitment. I gave myself a deadline—the Georgia Bar Journal’s annual fiction contest. The deadline was 20 January. I had a lot going on in January (and a complete lack of a story) so, I wasn’t sure I would be able to pull it off. I’ll save you the “did she or didn’t she?? ?” artificially created plot tension and just tell you that I did. I made the deadline with hours to spare. My primary character? A pygmy goat. If only I were joking. But seriously, the best part of the whole exercise was that completely real fear that I wouldn’t be able to tie the threads of my story together in any believable fashion and the unbridled joy and excitement when I did. Writing feels like magic. I used to dance most Thursday nights with my friends in the Savannah Swing Cats group. We took over the corner of an occasionally smoky bar at a seen-better-days hotel on Abercorn Street. It was fun. Great, great fun. We danced swing, foxtrot, salsa, you name it. (Well, those were the only dances I knew, so I’ll just name those, okay?) Like writing, I missed dancing. I wasn’t very good at it, but I enjoyed it. I figured a year and a half in Wellington was enough time to have gotten my feet under me. 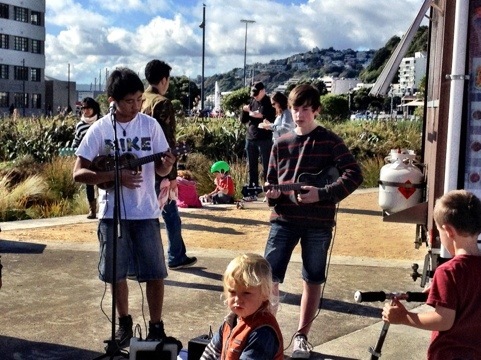 The thing about dancing in Wellington is that it’s not quite like Savannah. 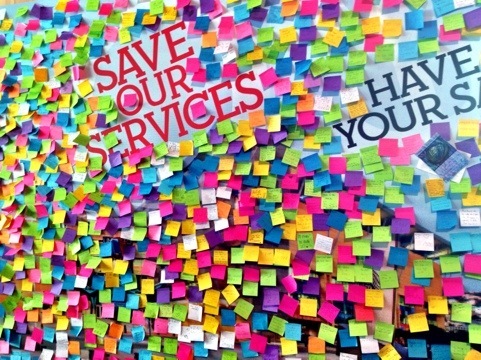 There aren’t advertised groups or communities who—for a few bucks, or none at all—organize great dance events. The closest thing I could find was sequence dancing. Without going into a complicated description, let’s just say that it’s choreographed ballroom. If you don’t know the choreography, you’re basically screwed. Oh, and it’s a hit with the over 80 crowd. Last night, I attended my first Wellington sequence dance event. Every Monday night from 7:30 to 10, you can dance, dance, dance the night away. If you know the patterns, that is. Gary was my primary partner. Gary was good fun. He has a thing for jam cake, I could tell, and he’s travelled all over the world. Gary is also 90. Albert was another dance partner. He was very concerned that I was going to miss out on the jam cake, has also travelled all over the world, and is serious about dental hygiene. We talked about dental hygiene for a good while. Albert is about 85. Yes this was all very amusing, but you know what? These people could dance. I, on the other hand, looked like a cartoon character wiping out on a banana peel. “Youth” (come on, everything is relative) is irrelevant in the face of experience. It was fun. I will definitely go back. I’m also staring a sincere effort to lose the rest of the weight I’d like to. I did a lot of research and decided to use the Dukan diet. There are many merits to the Dukan diet, but let me say this: I cannot credibly endorse a program which (a) means I cannot eat popcorn for a year; and (b) requires a sincere, life-long commitment to meaty protein. I came. I saw. I ate the chicken. Now I will modify and stick to what worked the first time. A crap load of exercise and very few treats. (But popcorn is a necessity.) I promise not to keep you updated on my efforts. Just know that I have great intent to stick with this one. But now it’s time to go, the microwave just dinged. My popcorn is ready. One phrase I knew well, however, was”C’est combien?” (How much?). It was always on the tip of my tongue. Much to T’s distress. 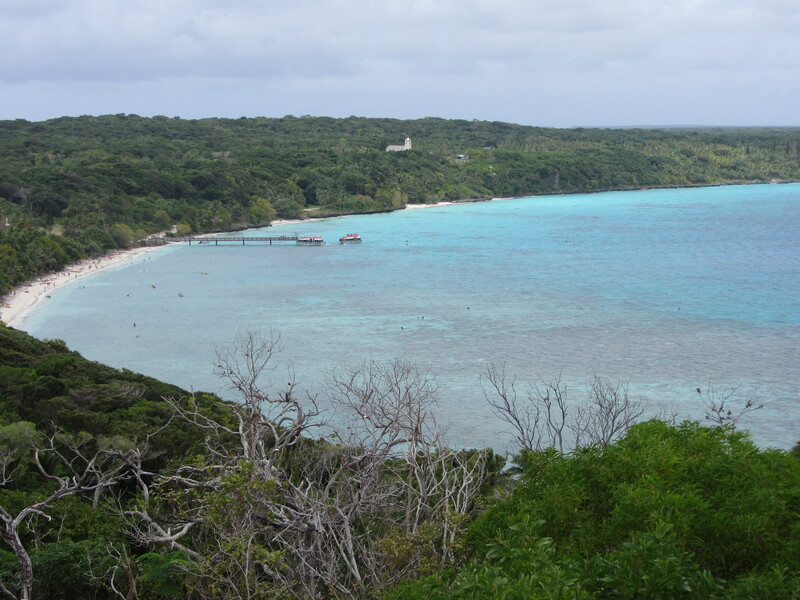 We went snorkeling in Vanuatu, had a bit of a car adventure in Noumea, New Caledonia, got frustrated in Lifou (also New Caledonia), and enjoyed swimming in the sea and laying on the soft, shell beach of Mystery Island. But by far, our favorite place was Isle des Pins (Isle of Pines) and we’re pretty sure we want to go back. Here are some pictures from our trip. Enjoy! 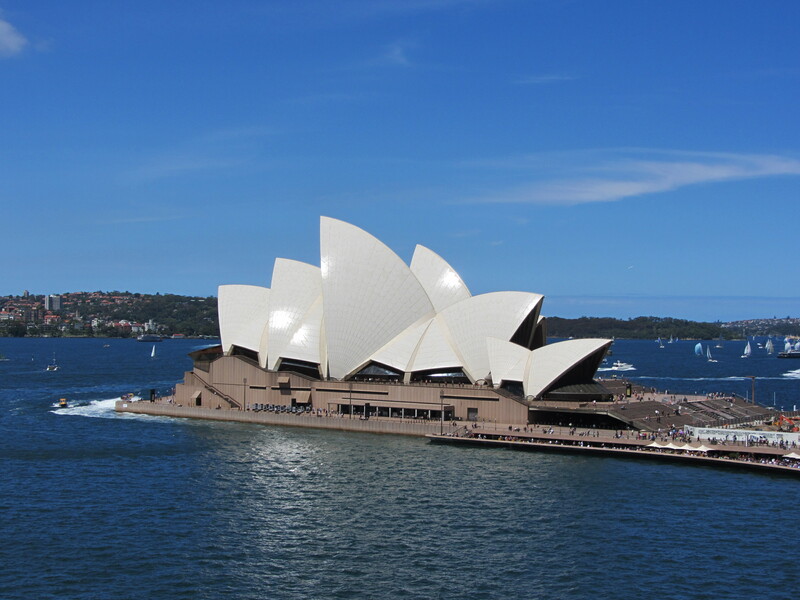 Leaving Sydney harbour and floating past the Sydney Opera House. 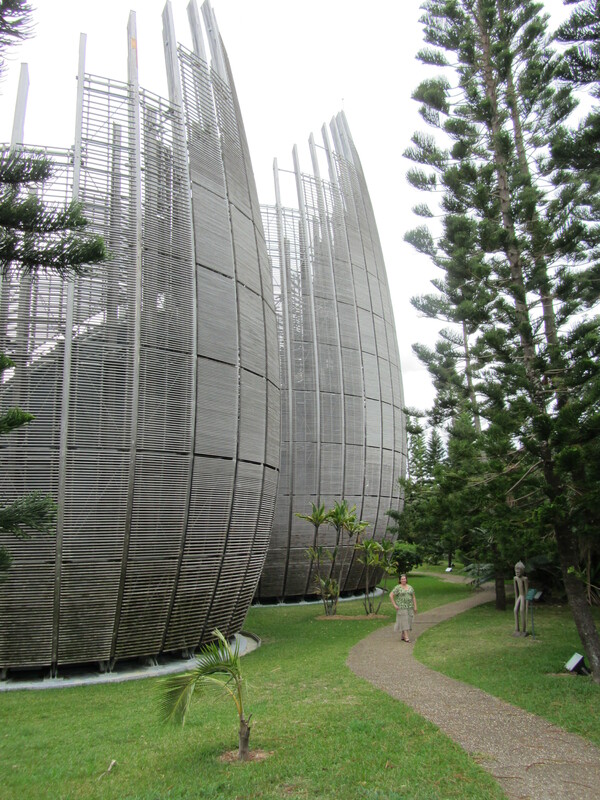 The Jean-Marie Tijbaou Cultural Center, Noumea, New Caledonia. 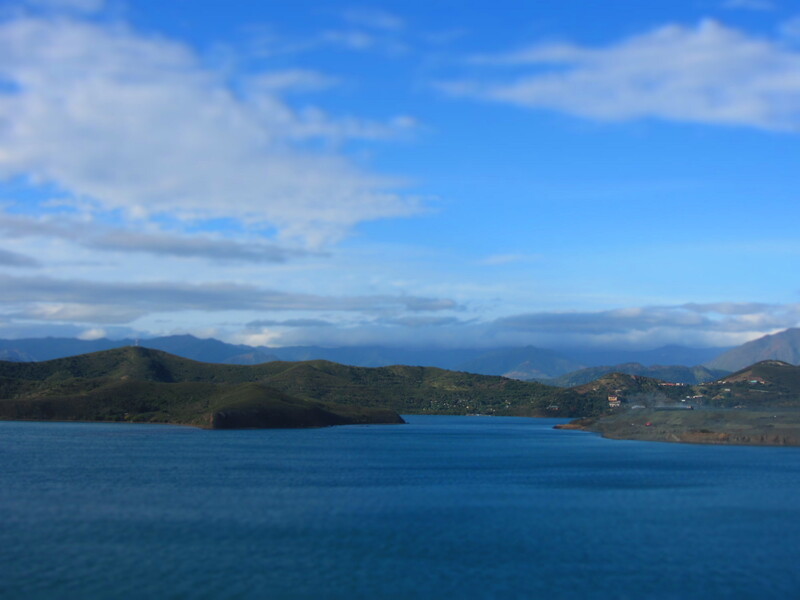 Our first stop was the capital city of New Caledonia, Noumea. New Caledonia is under French rule, but the Kanaks are the indigenous people of New Caledonia. 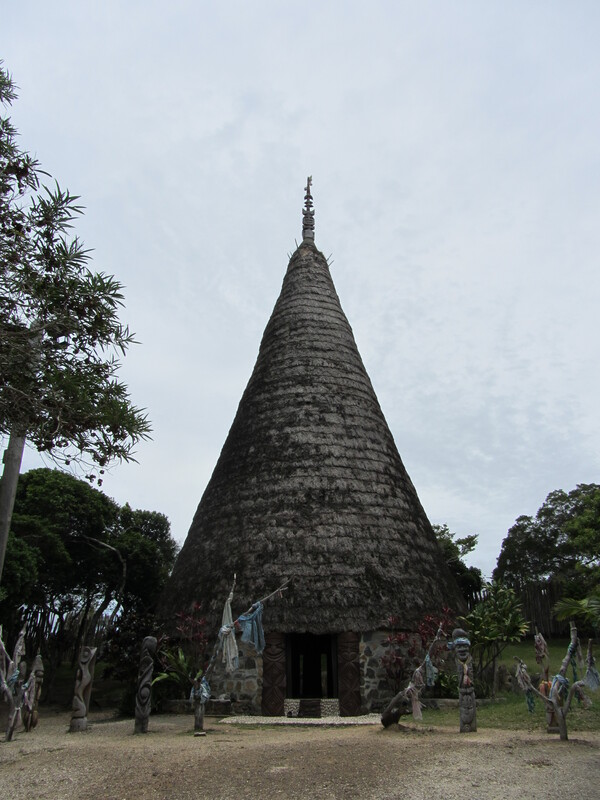 The Tijbaou center is a celebration of Kanak culture and an homage to the leader of the Kanak independence movement. 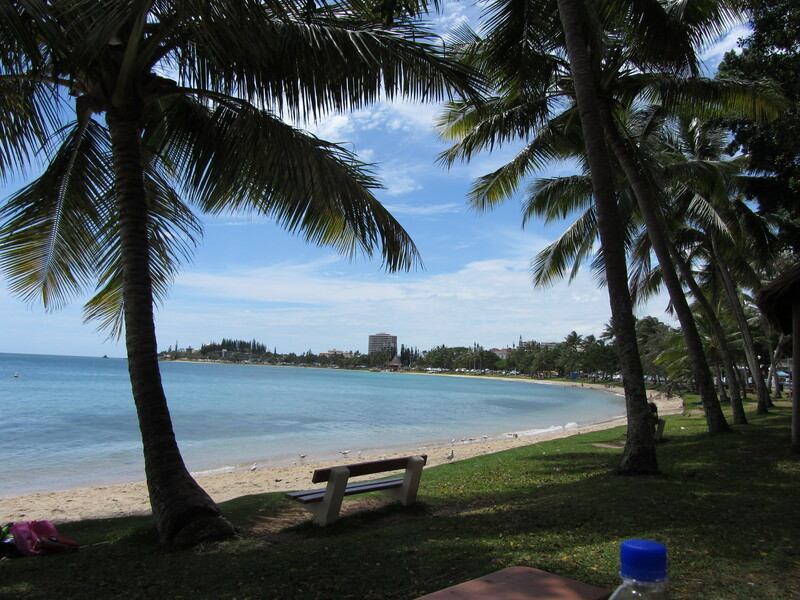 Beautiful Anse Vata (still in Noumea) where we had lunch on the beach. French baguette, cheese, apples, and juice. Saying "Au revoir!" to New Caledonia. For a day, at least. 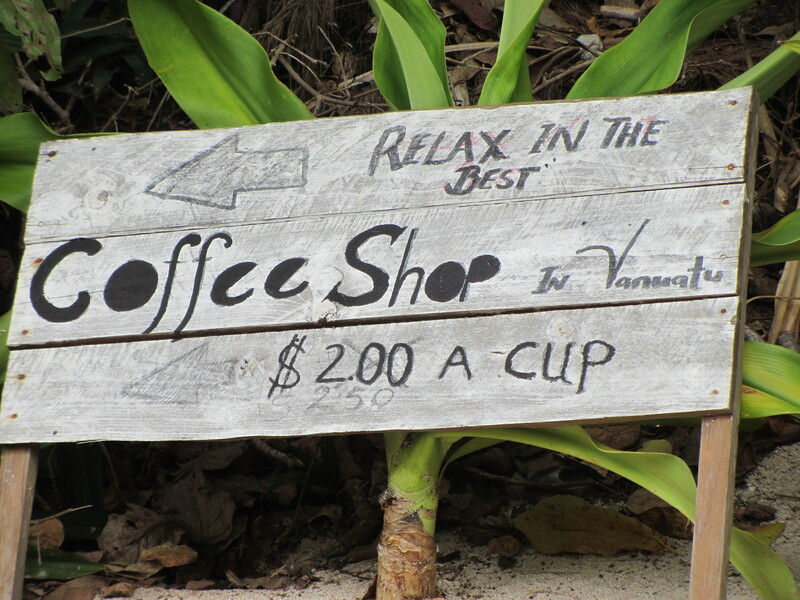 Our next stop was Port Vila in Vanuatu. I should mention that it rained for a good portion of our trip (though it IS rainy season! ), so when we could snap pics in the sunshine, we did. 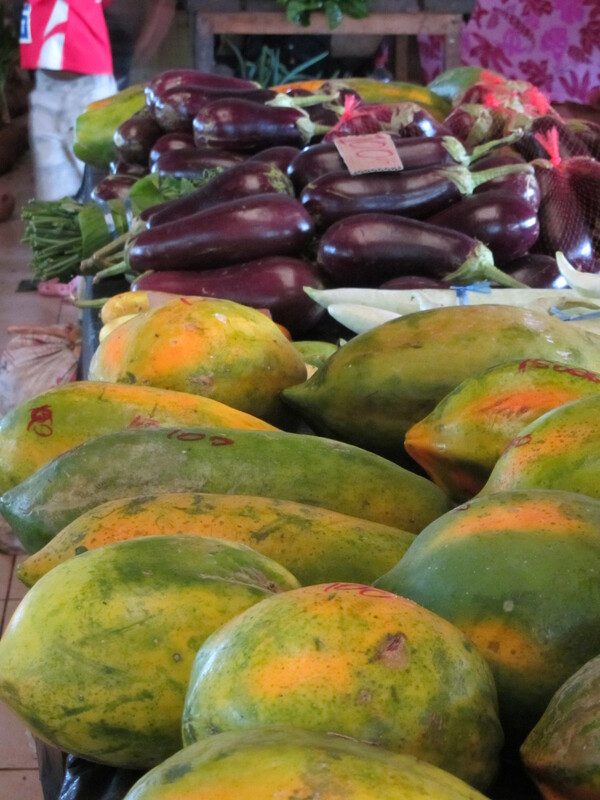 Vanuatu was all about snorkeling and eating super-fresh pineapple and berries from the market. 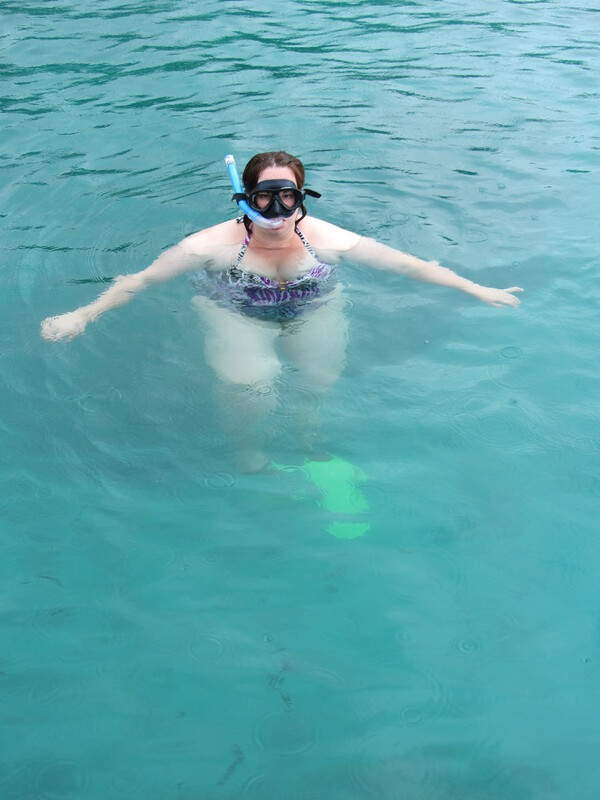 snorkeling in Vanuatu. Honestly, it was like swimming in a tropical aquarium! 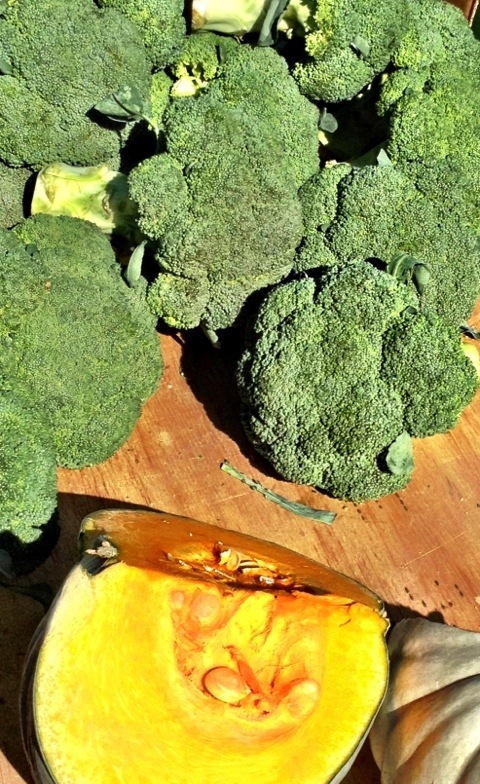 Yummy fruit and veg from the market in Port Vila. 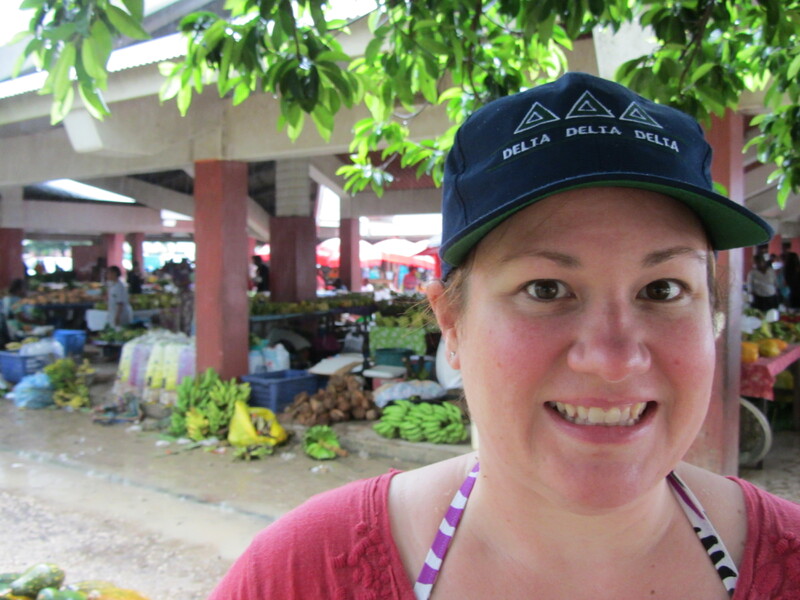 In front of the market in Port Vila. In addition to fruit and veggies, there were gorgeous flowers, exotic fruit drinks, dancing, singing, and lots of fun. What does that say? No sitting on the wall. 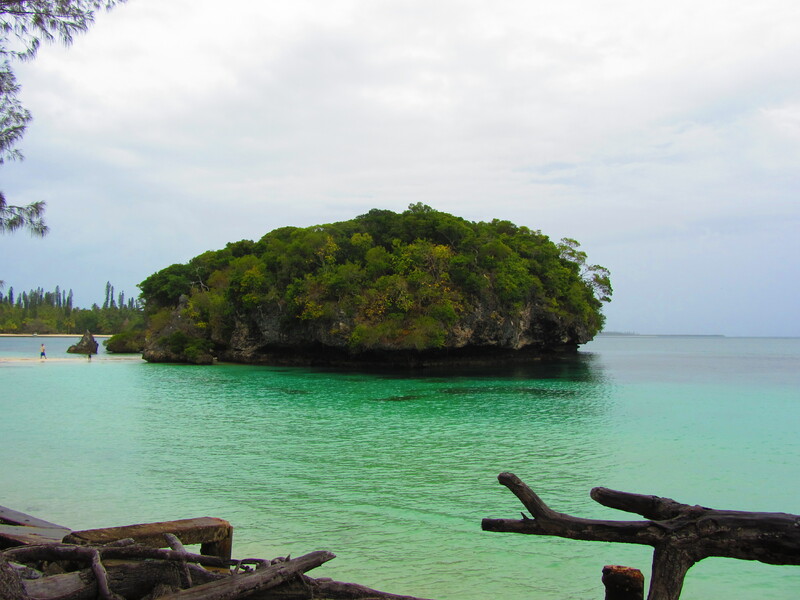 The next day, we went to Mystery Island, part of Vanuatu. It’s very small and just a great place to swim in the sea and laze about in the sun. Which is exactly what we did. Enjoying the beach and marveling at the crystal clear water. 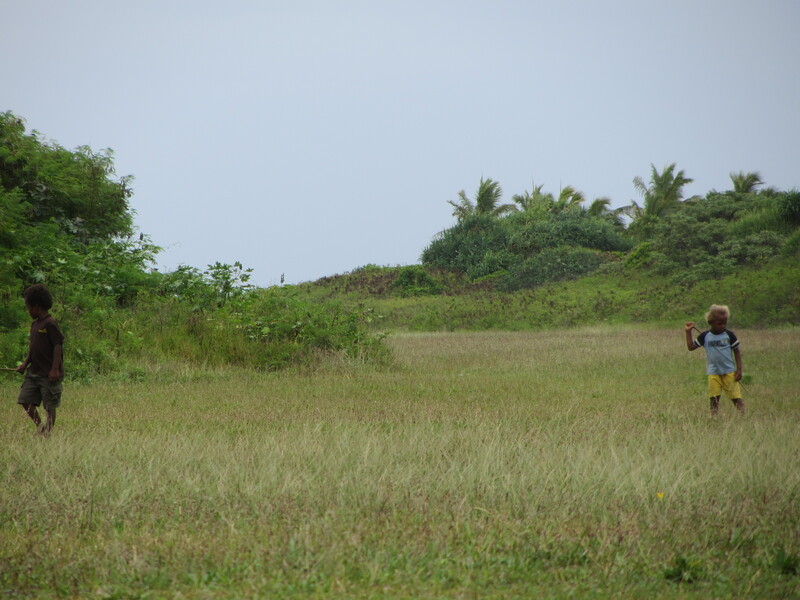 Local boys, playing in a field, just off of a small cove on Mystery Island. That's 200 Vatus, or about $4.00 NZ. Still, it's a long way to go for a cup of coffee! 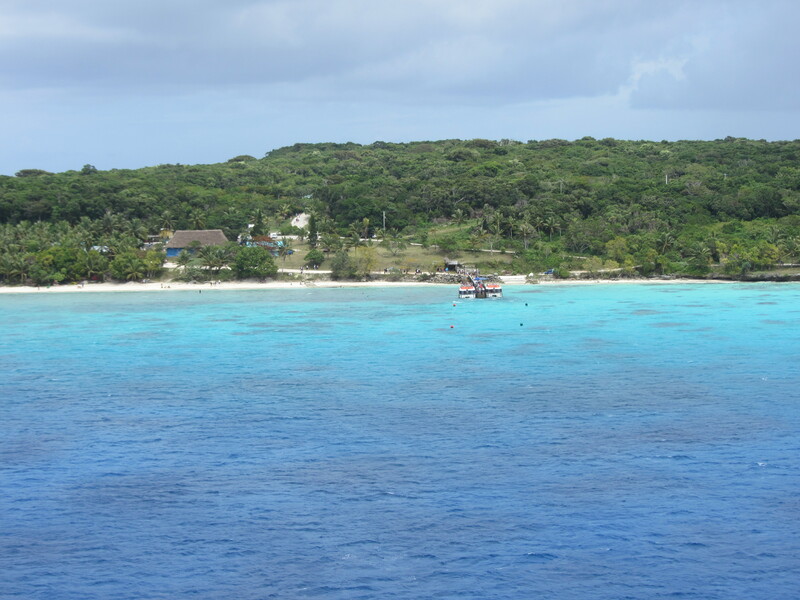 After Port Vila and Mystery Island, we headed to Lifou, another island in New Caledonia. This one was more frustrating. We landed in an area that wasn’t near any major areas, and there was very little information (and a lot of misinformation) about how to get anywhere. In the end, we paid for a 45 minute tour that we thought was taking us to We (pronounced way), but in the end, no one seemed to know the way to We. (I couldn’t help myself, sorry). No matter, we walked to the top of a cliff and got amazing views and got some great pictures too. The view from the top of the cliff. Definitely worth the climb! 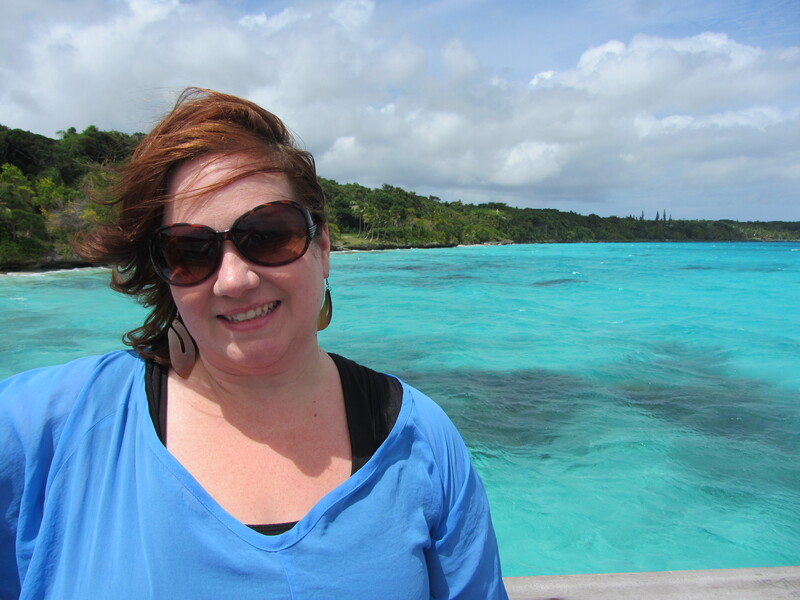 Leaving Lifou--I was ready for another swim! 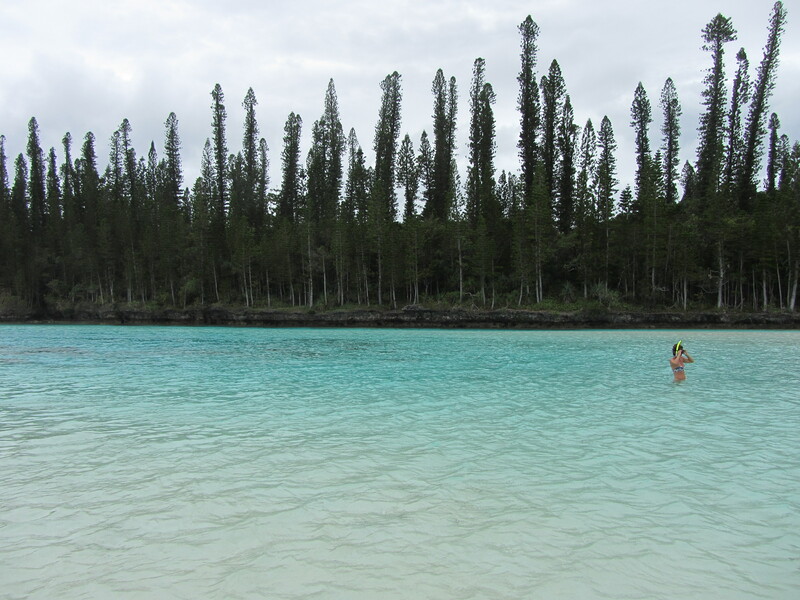 Our final stop on the trip was Isle des Pins (Isle of Pines), New Caledonia. The people were warm and kind and greeted us with flowers as we came off the tender boat. The island is pristine and mostly undeveloped (i.e., there was a complete lack of tacky tourist stops. Hooray!). We had hoped to go out on a Pirogue, which is an outrigger boat and something that Isle of Pines is best known for. Alas, the weather did not want to cooperate, so we rented a car instead and explored the island by foot and by car. Column pines, what the island is known for. They look like jagged teeth from far away. This was near Baie d'Oro. We took a nice bush walk across to a natural swimming hole, but it was too cold and rainy to take a dip. 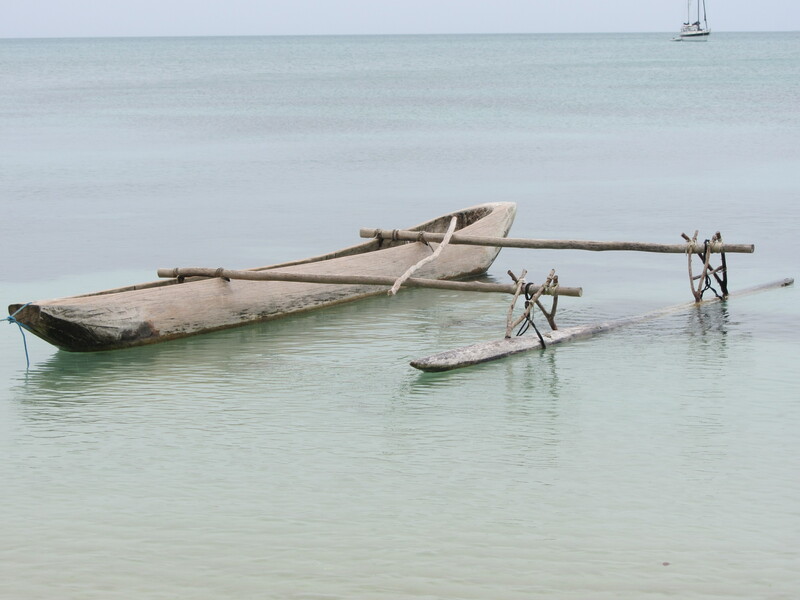 Part of a pirogue, waiting patiently in the bay. Like being home. 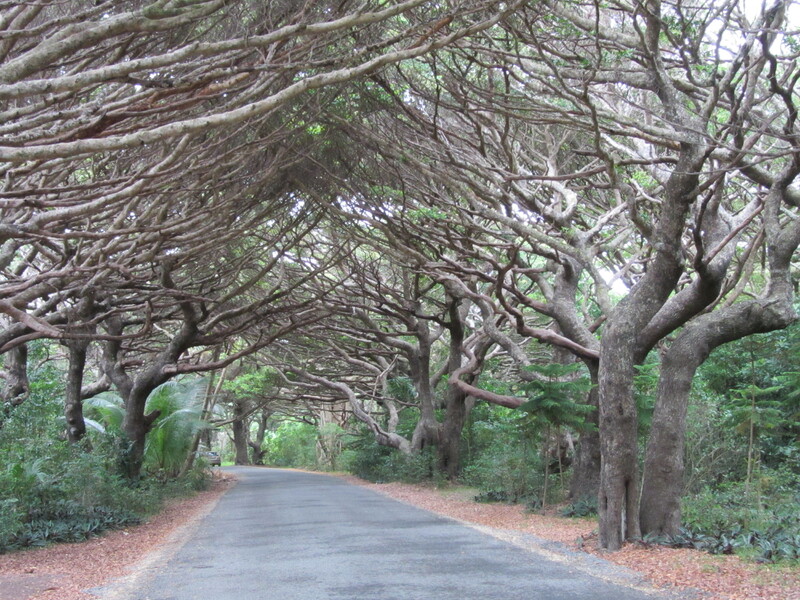 Our walk back to the tender port--I could have walked this tree-lined drive for days. 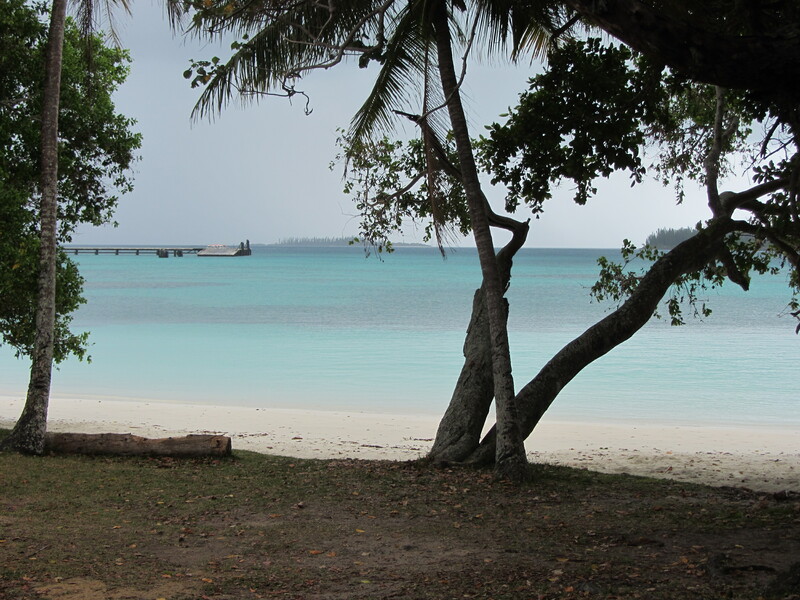 A final glimpse of one of the many gorgeous bays at Isle of Pines.